1. Triangulation: An overused term? Triangulation is often one of the key reasons for undertaking mixed method research. According to the typology of mixed methods design suggested by Greene et al. (1989) – but also more recently by (Bryman, 2006) – the term stands for convergence of findings and corroboration of research results. According this view, the expectation is that different data sets or different methodologies will lead to similar result and hence allow for ‘confident interpretation’ (e.g. Lyons, 2000: 280) of the findings and strengthen the researcher’s conclusions. As such the term is also widely associated with the concept of credibility of research findings. A problem associated with this approach is the assumption that data collected using different methods can necessarily be compared or contrasted in order to answer the same set of research question. This view assumes that there is one single objective ‘reality’ or ‘truth’ – not only a problematic assumption, but also, as argued by Harden and Thomas (2005) one that ignores that data from different sources often reveal conflicting realities. 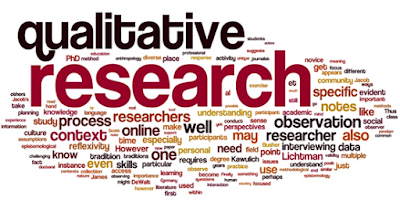 Given the multifaceted nature of research on discourse, it has been argued that collecting data from different source in an iterative way is an appropriate way to address research question in this area (Beaufort, 2000). While discourse studies are often seen as ‘by nature’ qualitative, being largely based on naturally occurring ‘real life’ data, recent work (e.g. Holmes and Marra, 2002) has shown how quantitative and qualitative paradigms can be combined for a better understanding of the interactants’ norms and practices in discourse (Angouri, 2010:36). Angouri, Jo. 2010. Quantitative, Qualitative or Both? Combining Methods in Linguistic Research. In Litosseliti, Lia. 2010. Research Methods in Linguistics. New York: Continnum International Publishing Group. 0 Response to "Quantitative, Qualitative or Both? Combining Methods in LinguisticResearch"